By John C. Toman. Posted December 16, 2011, 8:13 PM. 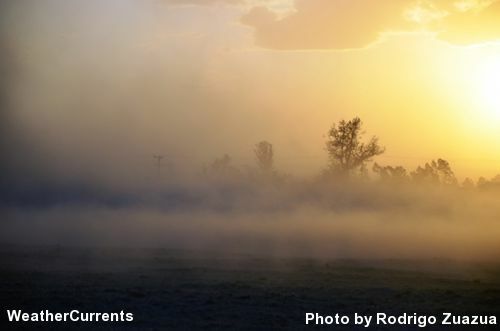 An inside slider sent dry winds of more than 50 mph through Hemet and San Jacinto Friday afternoon, resulting in a damaging dust storm in the San Jacinto Valley. 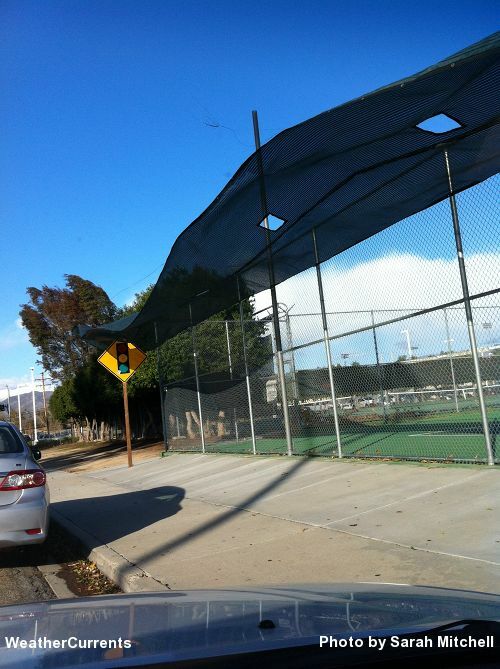 Gusts began to pick up in the afternoon, were blowing fiercely in the 2pm hour at Hemet High School, according to a local report, and continued into the evening. 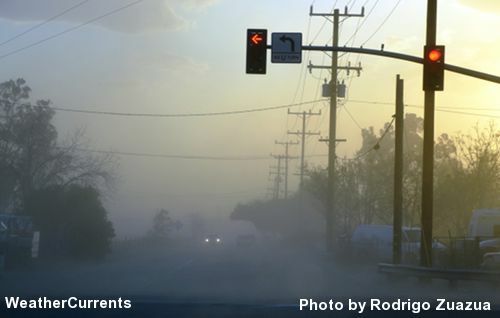 Other photos, submitted by Rodrigo Zuazua, showed a dust storm in progress on the Ramona Expressway, in San Jacinto, in the 4pm hour. There were reports of metal poles holding mailboxes bent to the ground, and of trees down everywhere. Power outages were also reported. WeatherCurrents' Hemet station, in the Valle Vista area, is located in a wind-sheltered area. Even there, gusts hit 37 mph in the 1pm and 4pm hours. Gusts were estimated to be 20 mph greater in other parts of the valley. Strong winds have peaked, according to WeatherCurrents' meteorologist Jim Purpura, The latest forecasts have wind gusts of up to 55 mph tonight, slowly decreasing through the night. Conditions will be much less windy on Saturday.